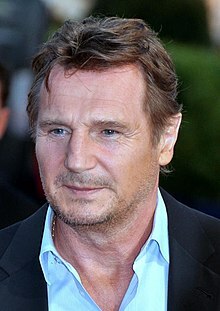 Liam John Neeson, OBE (born 7 June 1952) is an actor from Northern Ireland. In 1976, he joined the Lyric Players' Theatre in Belfast for two years. He then acted in the Arthurian film, Excalibur (1981). Neeson rose to prominence when he starred in the title role in Steven Spielberg's Academy Award-winning film, Schindler's List (1993). He has been nominated for a number of awards, including an Academy Award for Best Actor, a BAFTA Award for Best Actor in a Leading Role, and three Golden Globe Awards for Best Actor in a Motion Picture Drama. Empire magazine ranked Neeson among both the "100 Sexiest Stars in Film History" and "The Top 100 Movie Stars of All Time".